I’ve come to believe that how we choose to live with pain, or injustice, or death . . . is the true measure of the Divine within us. Sometimes a book comes to you at just the right time, even if you don’t realize it’s the right book. Moloka’i by Alan Brennert was my in-real-life book club pick one month, and I’ll be honest. I wasn’t excited about it. I almost didn’t even read it, but I decided that I would at least start it, since we had a family trip to Hawaii planned as well, and this book takes place in the Hawaiian islands. Once I started, I couldn’t put it down. Like, walking around my house while reading, couldn’t put it down. I had no idea this was the historical fiction novel I needed in my life, and I am so, so glad I didn’t skip it! Rachel Kalama has a wonderful life with her family on the island of Oahu. She is a typical 7-year-old girl, playing, going to school, and idolizing her dad. When a rosy spot appears on her skin and doesn’t go away, she is diagnosed with leprosy and her life, and childhood, change forever. She is sent to the island of Moloka’i, a designated leprosy colony, to live separately from the rest of Hawaiian society. She will either get better and be released . . . or not. She learns how to live a full life even when facing death (in her friends, family, herself) every day. This is a fictional novel, but the setting is real. Moloka’i was home to a large leprosy colony from 1866-1969. Rachel’s experience in the novel is representative of many people who did go through being separated from their families and sent to this small island to live out the rest of their days after being diagnosed with leprosy. When I started reading Moloka’i, I knew nothing about this part of Hawaiian history, and I found it heart-breaking, intriguing, and something I still want to learn more about. I absolutely loved Rachel and her father, Henry. Really I loved all of the characters. They all felt very real and fully formed, and I was invested in the book as much for the plot as I was for the well-being of the characters. I was rooting for Rachel and the journey she was on throughout the whole book, and I felt like I got a very good sense of what it would have been like to live in Hawaii, and on Moloka’i, in that time period. 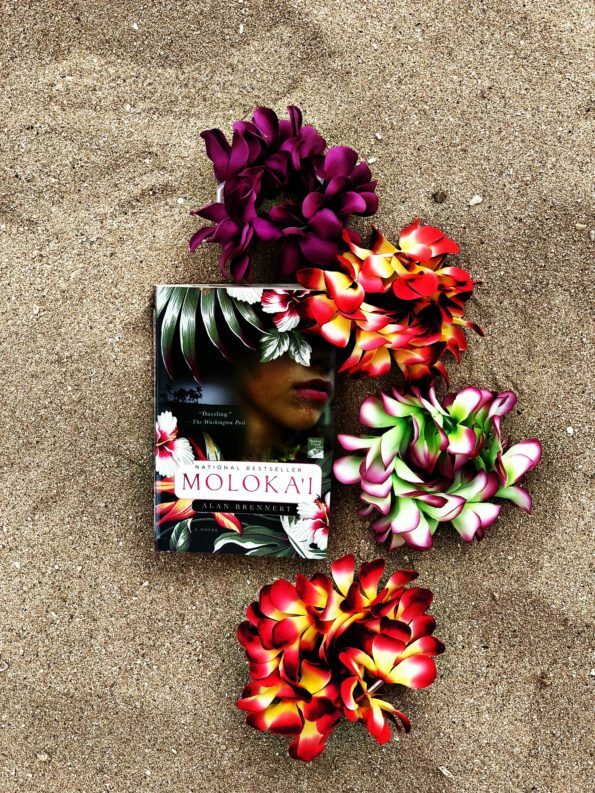 If you like historical fiction and want something a little different (I’ve read nothing about Hawaii’s history and now I want more), please pick up Moloka’i ! I was hesitant at first because . . . well, a book about a leprosy colony just sounds sad. But this book, while it has its sad moments, is anything but. It has a lot of heart, and really focuses on how people can be faced with the worst situation and still come out of life with love, friends, and strong sense of self. Isn’t that all anyone wants in life? To love and be love, to be understood and to have an understanding of others. Moloka’i will give you all of that, with a little history lesson thrown in. There’s a sequel!!! Daughter of Moloka’i will be out on February 19th, and you can bet I’ll be reading it!